Non-melanoma skin cancer is the most common form of malignancy in adult Caucasian populations, with more than a million cases recorded each year in the USA alone. The incidence of these cancers is continuously rising due mainly to the aging structure of Western populations, and as a result of growing prosperity, permitting more visits to countries with high sun exposure, which is a key risk factor for NMSC, as well as lifestyle habits associated with prolonged voluntary sun exposure for tanning purposes. Impairment of the immune system also appears to play an important role in NMSC. Indeed, immunosuppressed organ transplant recipients (OTRs) have a 50–100-fold increased risk of developing NMSC compared to the general population. NMSCs occur 10–20 years earlier in immunosuppressed than in immunocompetent individuals, and the cumulative incidence of skin cancer in patients under immunosuppressive treatment for 10–25 years is approximately 30–40%. Thus, NMSCs cause a severe discomfort in OTR individuals, who often, due to the high number of skin lesions, cannot be treated with conventional surgery. The link with immune status strongly supports the role of an infectious agent in NMSC. 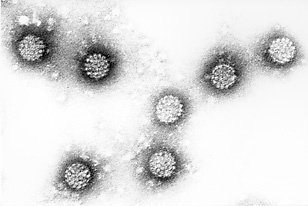 Biological and epidemiological studies indicate that a sub-group of cutaneous human papillomaviruses (HPVs), refered to as beta HPV types, are associated with skin carcinogenesis. However, their direct role in cancer development and in particular whether they synergize with other risk factors, like UV irradiation, remain to be proven. “The establishment of the involvement of beta cutaneous HPV types in NMSC development is of paramount importance”, continued Dr Lutz Gissmann, Head of the Division of Genome Modifications and Carcinogenesis at DKFZ, “since it may offer the possibility, if causality is established, of novel prophylactic strategies for this disease based on the generation of specific vaccines, as shown for the HPV types associated with cervical cancer”. This strategy may be highly beneficial for OTRs, who could be vaccinated before the initiation of the immune suppressive therapy. “However, further research, particularly in humans, is needed in the next decades to understand whether beta HPV prophylactic strategies may possibly have a positive impact on the prevention of NMSC”, he concluded.